File this under one of my horrible photography jobs but don't let my horrible photo taking skills detour your thoughts from this recipe. We LOVE this recipe! 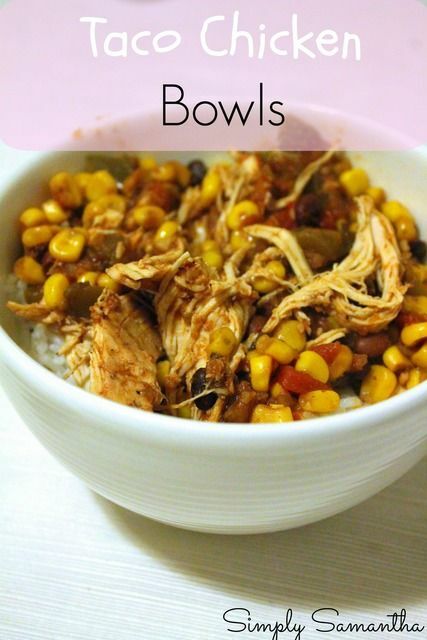 It is so flavorful and easy to throw in the crock pot. The secret to this recipe is to put it over WHITE rice (preferably organic or non-gmo white rice). I think it complements it so well! Well enough of my babbling, onto the recipe. I have a lot of favorite food bloggers but Beth from Budget Bytes is my top favorite. She was my "go to" when I was cooking during our first month of marriage. Her recipes are so simple and tasty it amazes me. Add everything except the rice, cheese, and (optional) cilantro to the slow cooker along with ¼ cup of water (just in case). Give everything a good stir and make sure the chicken is covered in the mixture. After 8 hours of cooking, carefully remove the lid of the slow cooker. Stir with a fork to shred the chicken. Place the chicken and your favorite toppings (including cheese ;) ) on top of rice.